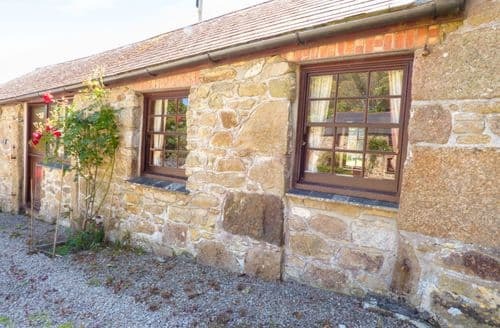 What our customers are saying about our Holiday Cottages In St. Erth To Rent. "Exactly what we needed.Our hosts Trish and Chris were so welcoming and helpful throughout our stay, nothing was too much trouble. We were lucky to have the pool to ourselves during our stay and it was idyllic in the sunshine! The games room appeared to be a little neglected, but I understand that work is being done to correct this. S83036 is in close proximity to St Ives and the beautiful Marazion where we visited frequently. We would definitely go back and have no problems recommending it to others.Perfect, peaceful setting in a great location for visiting surrounding areas. 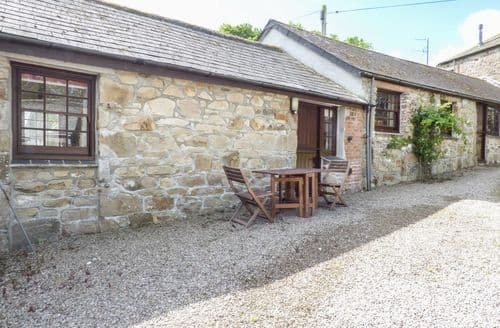 The barn was very clean and with everything you need for a comfortable stay. Chris and Tricia the estate managers,are friendly and extremely helpful and work very hard to make sure your stay is as comfortable as possible. 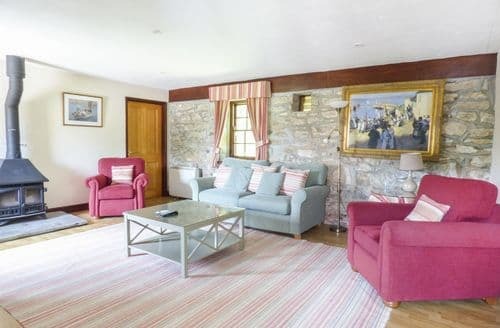 We would definitely recommend this property and will most definitely be returning next year ." "Our hosts Trish and Chris were so welcoming and helpful throughout our stay, nothing was too much trouble. We were lucky to have the pool to ourselves during our stay and it was idyllic in the sunshine! The games room appeared to be a little neglected, but I understand that work is being done to correct this. S83036 is in close proximity to St Ives and the beautiful Marazion where we visited frequently. We would definitely go back and have no problems recommending it to others.Perfect, peaceful setting in a great location for visiting surrounding areas. 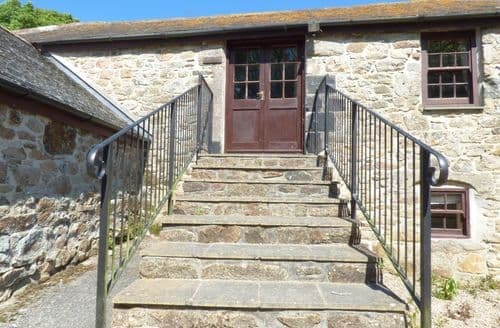 The barn was very clean and with everything you need for a comfortable stay. Chris and Tricia the estate managers,are friendly and extremely helpful and work very hard to make sure your stay is as comfortable as possible. 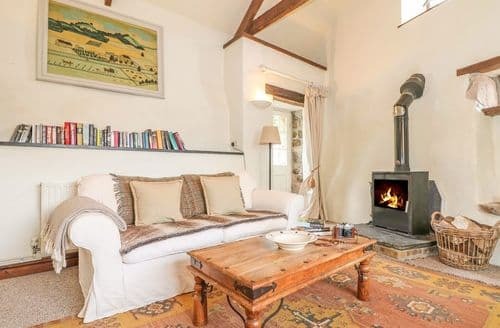 We would definitely recommend this property and will most definitely be returning next year ." "The Trewinnard Estate is a beautiful and tranquil place to relax and unwind. Our hosts Trish and Chris were so welcoming and helpful throughout our stay, nothing was too much trouble. We were lucky to have the pool to ourselves during our stay and it was idyllic in the sunshine! The games room appeared to be a little neglected, but I understand that work is being done to correct this. S83036 is in close proximity to St Ives and the beautiful Marazion where we visited frequently. We would definitely go back and have no problems recommending it to others." "Our hosts Trish and Chris were so welcoming and helpful throughout our stay, nothing was too much trouble. We were lucky to have the pool to ourselves during our stay and it was idyllic in the sunshine! The games room appeared to be a little neglected, but I understand that work is being done to correct this. S83036 is in close proximity to St Ives and the beautiful Marazion where we visited frequently. We would definitely go back and have no problems recommending it to others." 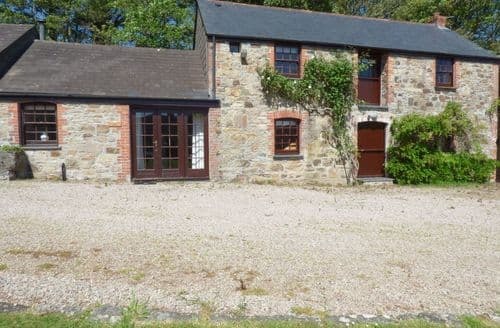 "Lovely converted barn, perfect for a couple looking for a nice relaxing break . 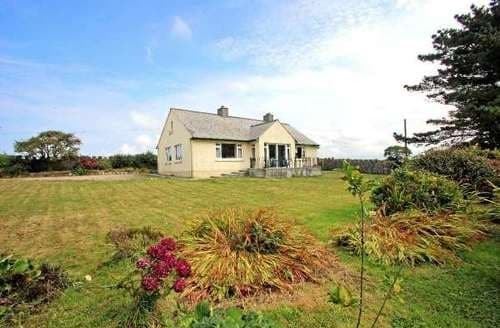 Perfect, peaceful setting in a great location for visiting surrounding areas. 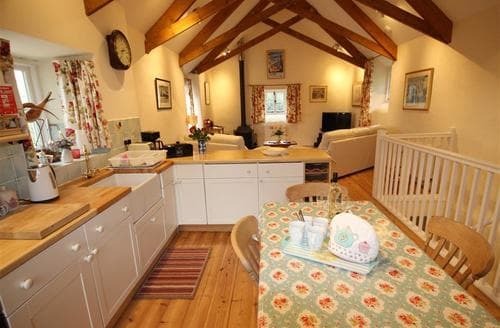 The barn was very clean and with everything you need for a comfortable stay. Chris and Tricia the estate managers,are friendly and extremely helpful and work very hard to make sure your stay is as comfortable as possible. 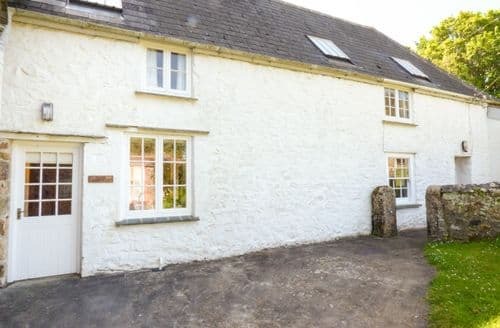 We would definitely recommend this property and will most definitely be returning next year ."